Ich is one of the most common freshwater fish diseases. Ich comes from new fish and plants. It takes 2 weeks to eradicate it. Some of your fish may die anyway, depending on their immune system and how early you catch it. 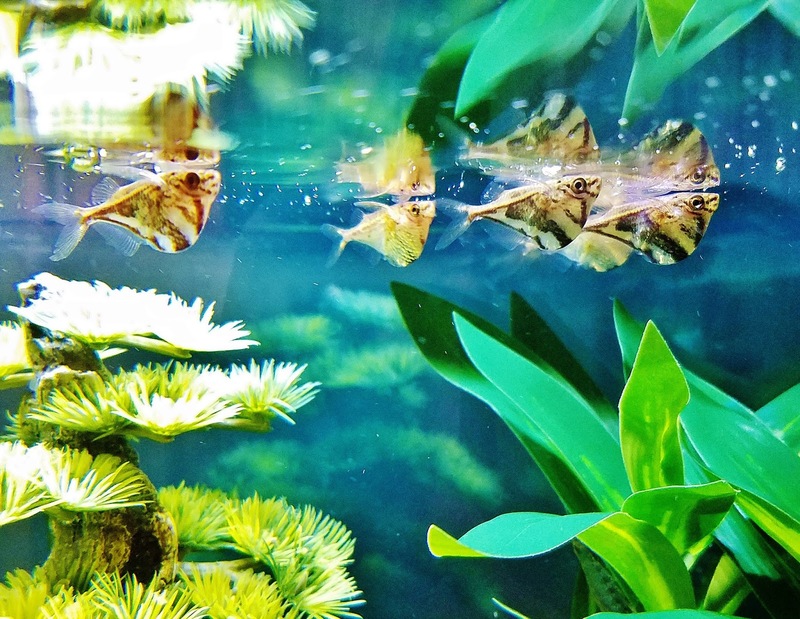 Freshwater ich, also known as ick or white spot disease, is one of the most common diseases in freshwater aquarium fish. It looks like little white spots or grains of salt covering your fish's body. Other symptoms include frayed fins and tail, respiratory distress, low appetite, and "itchy" skin (fish rubs against tank walls and ground). The protozoan attaches to your fish, forms a white protective cyst, and begins feeding. Once it matures, it bursts through the cyst wall, falls to the ground, and divides into hundreds of new protozoans. * This stage #3 is where the medication can kill the free-swimming protozoans and end the cycle. Die, baby bugs, die! These new hatchetfish were wild-caught and therefore came infected with parasites. 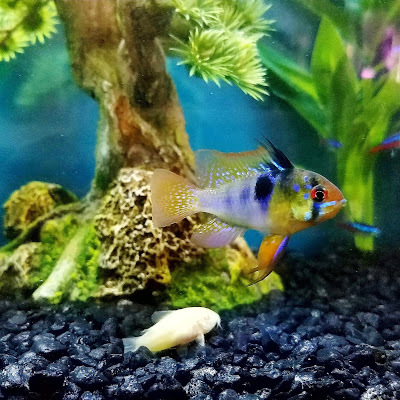 I half-medicated them in quarantine but didn't complete treatment (oops), so they still carried the disease when they entered the community tank. Will My Fish Die of Ich? Maybe. Unfortunately, by the time you see spots, the fish has already had ich for some time. So it'll depend on the robustness of your fish's immunity system and how early you caught the disease. When my aquarium got ich because of new fish I purchased, 6 out of 7 of the new fish died within the first 5 days of treatment. The other 12 existing fish in the tank were fine and hardly showed any symptoms. P.S. If you need to euthanize any fish, I prefer clove oil using this method. It's very gentle and quick. The most effective ich treatment involves a combination of medication and increased heat. How Do I Treat Fish with Ich? 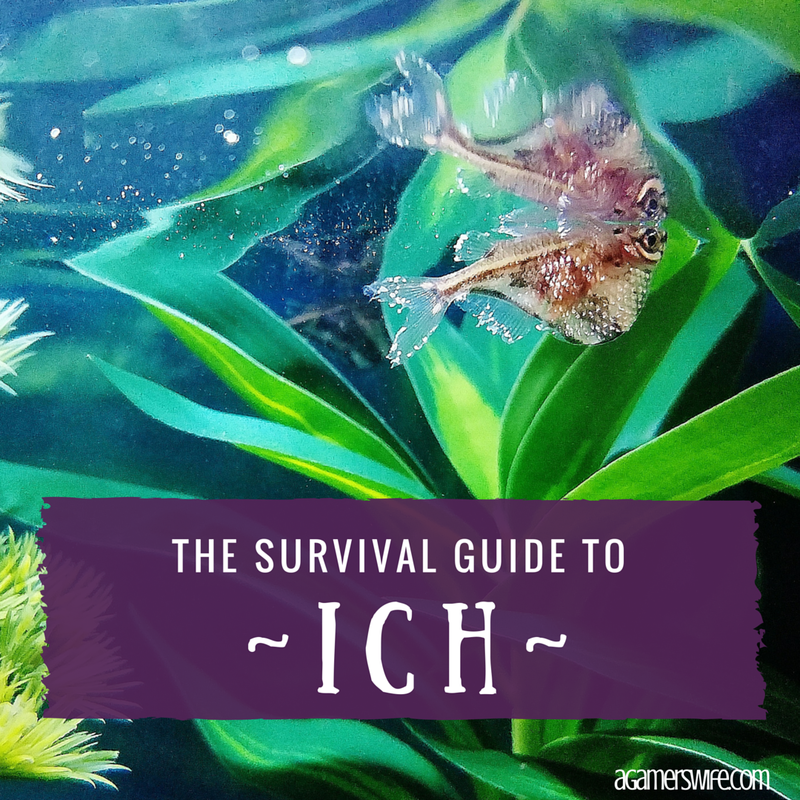 If one fish has ich, you have to treat the whole tank. Some people prefer gentler methods of increasing the heat only or adding aquarium salt. I prefer the "scorched earth" approach. We're gonna nuke these suckers to orbit. Increase the oxygen level in the water by maximizing the filter's flow rate and lowering the water level. (Warmer water doesn't have as much oxygen.) An air stone or power head can also help. Continue dosing every day for the full 14 days, or else the parasite will come back and reinfect your fish. Keep the aquarium lights off because the medication is light-sensitive. Do a partial water change every 2 to 3 days to keep the water quality high. Remember to add more medication to the new water as needed. 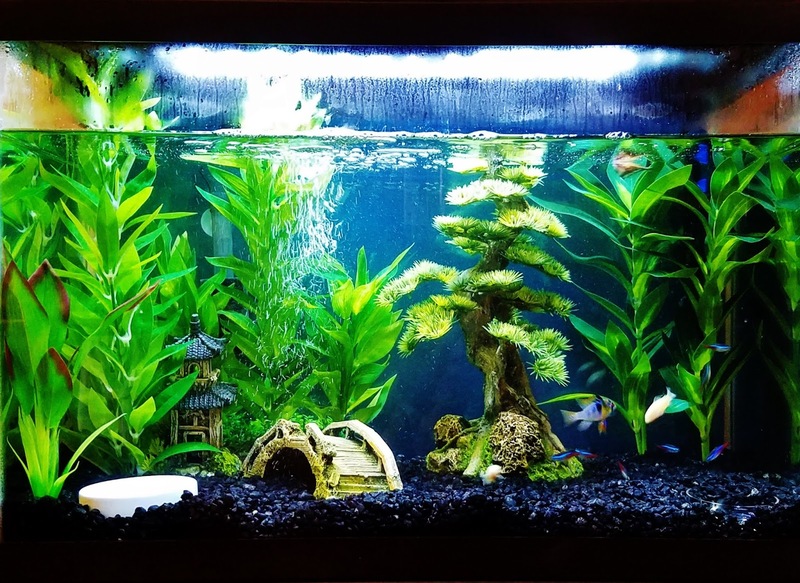 Once treatment is complete, you can use diluted bleach to disinfect anything outside the tank that may have touched the infected water (e.g., fish nets, gravel siphon). * I put my shrimp in a quarantine tank and risked giving him a half dose of Paraguard every day. She did fine, but there's no guarantee. ** Scaleless fish like catfish and loaches can be more sensitive to medication, so Seachem recommends starting with a 1/4 to 1/2 dose and building up to a full dose over several days. I risked doing a full dose from day 1 with my cory catfish, and they did okay. They were more upset by the heat when the heater accidentally crept up to 89°F. How Do I Treat an Empty Tank with Ich? If there are no fish in your infected tank, the steps are much simpler. Increase the water temperature to 82°F to 92°F. Within 48 hours, the baby parasites will appear and then die without any available hosts. To play it safe, keep the tank water hot and empty for 4 to 7 days. Healthy and unstressed fish are better equipped to fight off diseases. 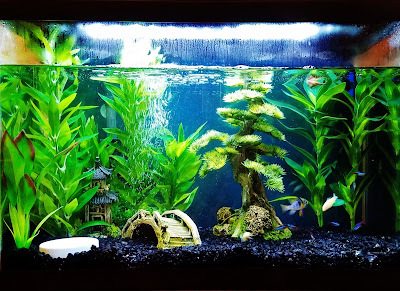 All of my existing fish survived ich, and some didn't even got a single spot. How Do I Prevent Ich? Quarantine all new fish for at least 2 weeks. I recommend using a temperature of 80°F to ensure the ich protozoans (and other similar diseases) will show up faster if they're there. Then medicate as needed. (Some people preemptively medicate all wild-caught fish since they're more prone to carry parasites.) Here is more information on how to set up a quarantine tank. Take appropriate measures for new plants as well. Stressed fish also tend to have lower immunity, so keep your aquarium clean, don't overstock your tank, and avoid fluctuations in water quality. 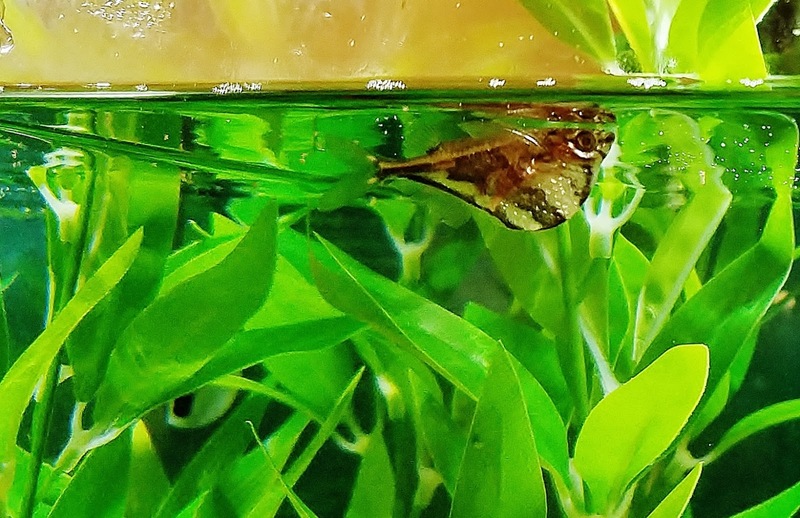 Backstory: I have always quarantined my fish without medication previously, but my new hatchetfish were wild-caught so I actually thought to add medication while they were in quarantine. Unfortunately I only kept it up for the first week and neglected to continue treatment for the full 14 days. The protozoans were temporarily suppressed, the hatchetfish looked fine, and therefore I introduced both fish and parasites to my community tank. The hatchetfish were the only casualties from the ich, since they were patient zero and probably still stressed from recent transport from South America. One hatchetfish got treatment in time and survived ich. By day 9, all the cysts had disappeared but of course I continued treatment for the full 14 days. Now I have to decide whether to buy more hatchetfish or give him back to the fish store and get something else. All part of the learning experience! You do not continue dosing for the full 2 weeks of treatment. Something is decreasing the medication's effectiveness (e.g., carbon filter). The water temperature is low and the ich life cycle hasn't completed (medication only affects the swimming baby protozoans). It is transmitted through infected water back into your tank. You bought more new fish or plants that were not properly quarantined and medicated for 2 weeks. Congratulations! You are officially ich free. You survived, conquered, and learned a lesson or two along the way. Next time you see those white spots (hopefully not), you'll be a pro at annihilating these pesky parasites.